According to ancient Greek history, Poseidon, God of the sea and Athena, the goddess of peace and wisdom, disputed whose name would be given to the newly built city in the territory of Attica. To end this dispute, Zeus (God of gods) decided that the city would take the name of the one who would give the most precious gift to the citizens. Poseidon struck his trident on a rock and a horse appeared that could carry a rider and weapons, dragging a chariot and help them win battles. Athena struck the spear into the ground and turned it into an olive tree – a tree that was nutritious, healing wounds, colds and never dies. It was decided that the olive tree was more valuable to the residents of Attica, hence the new city was named Athens to honor Athena. Even today, an olive tree stands at that point according to the legend. 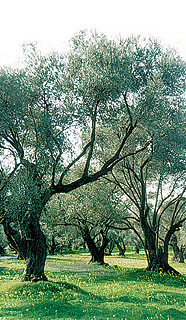 It is said that all the olive trees in Athens came from the first olive tree offered by Athena. 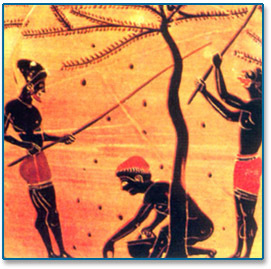 According to Homer, the olive tree was cultivated in Greece for over 10,000 years. For the ancient Greeks, the olive tree was a symbol of peace, wisdom and triumph. An olive wreath was used to crown the Olympic champions. Olive trees dominated the rocky Greek province and became pillars of Greek society. It was so sacred that those who cut it were condemned to death or exile. In ancient Greece, olive oil was one of the necessary products and advanced ships were built in Greece just to transfer oil to merchant locations around the Mediterranean. Olives have an almost titanic resistance, a vital force that makes them almost immortal. Despite harsh winters and hot summers, they continue to grow, proud and strong skyward, yielding fruits that nourish and heal, inspire and amaze. The mild climate, characterized by hot dry summers and rainy winters favor abundant harvests. The stone, drought, silence and solitude are the ideal habitat for the majestic olive. The Bible contains many references to the culinary and religious uses of olives and olive oil. In the book of Genesis the dove that Noah sent from the ark returned with an olive branch. 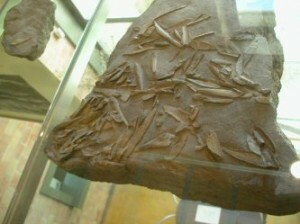 Here it was the great symbol of peace, indicating the end of the wrath of God. And the recognition by Noah suggests that it was already a known tree. Maximum religious significance of olive oil is documented in the book of Exodus, where God tells Moses how to make a kind of oil from spices and olive oil. During the consecration, the holy oil was poured on the heads of kings and priests. During the Byzantine period the production of olive oil in Greek territories was significant because of the immense size of the empire. The Empire itself included almost half of the olive oil production areas in the known world and the products were exported worldwide. During the 14th-17th century oil production was not affected. The product itself kept alive the traditional lifestyle of the Greek nation and was even used for religious purposes. During this period, the olive and its oil had a special place in the Christian Orthodox church. It was a symbol of love and peace, an essential part of various rituals, baptism, the candles used in churches and the little shrine that is part of every Greek family. From this time until today, Greece became the world’s top exporter of quality olive oil. The love and high esteem of the Greek olive grower to pass from generation to generation and from family to family. With the birth of a child an olive tree is planted that will grow and grow with the child. When the child starts school at the age of six, the olive tree is ready to bear its fruits. The blessed tree grows with the family, all of whom will have a much longer life and will still be there to watch the next generation, and those that will follow. Each year, it produces an annual harvest of olives in return for the work and love that was given.